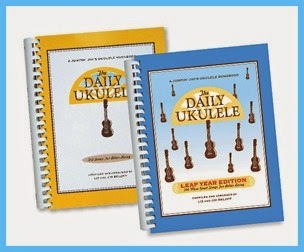 My life has changed quite a bit since I started playing the ukulele. I've been playing actively for over 12 years, but only in the last 3 years have I been playing consistently with the Ukulele Workshop at Boulevard Music in Culver City, led by musician Cali Rose. The workshop is great. There are anywhere from 6 to 12 people in the group. We all bring in songs from different sources. After we analyze a song, we work on embellishing it with intros, outros, chord substitutions, etc. It's a group effort, led by Cali. We really do have a good time. We have members who have only just graduated from the beginners class and people that have been playing for years. It all works out. 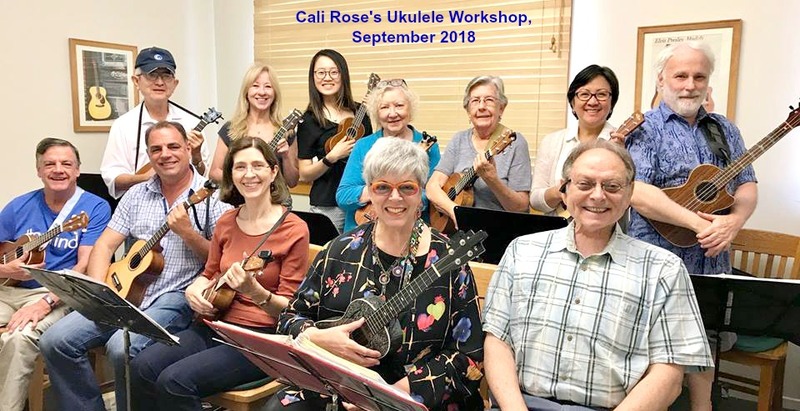 Cali structures the classes for all levels. Natalie! Come back! We miss you! In between all of those weekly workshops, I also attend ukulele festivals around the country. I've been to festivals in Palm Springs, Torrance, Port Townsend, WA and am looking forward to one this year in Las Cruces, NM. I also try to drop in on The Pluckin' Strummers every once in awhile, cross-town, in Atwater. This is a jam group, playing songs mostly from the Jim and Liz Beloff ukulele song books. The group also offers arrangements for more modern songs. 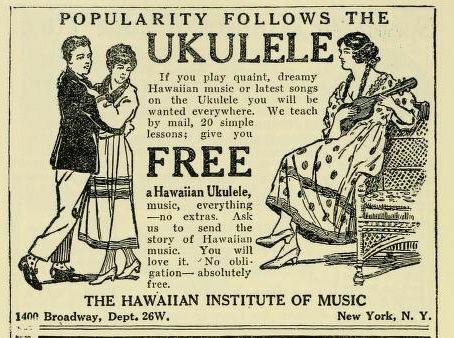 I've met so many ukulele players from different backgrounds. 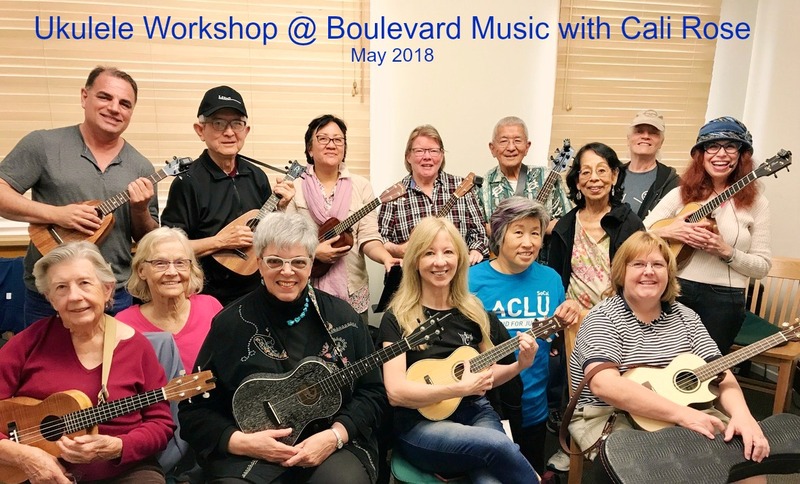 My ol' pal, Ruth just started Cali's beginning uke class at Boulevard Music. 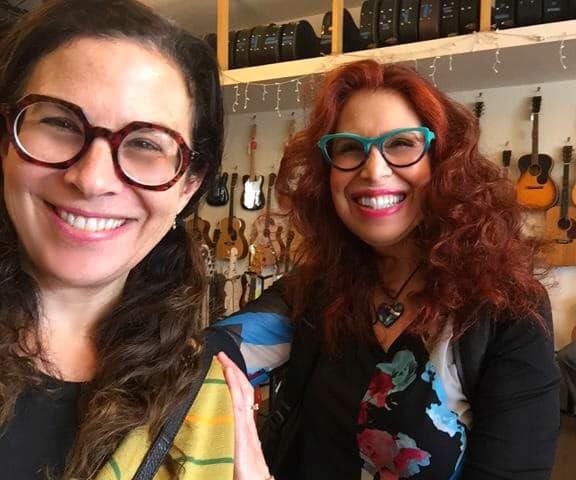 Ruth and I have many common interests, including jazzy eyeglass frames, costume jewelry and mid-century architecture of Los Angeles. I'm hoping that Ruth graduates to our Workshop soon so we can explore Googie coffee shops for lunch after class! 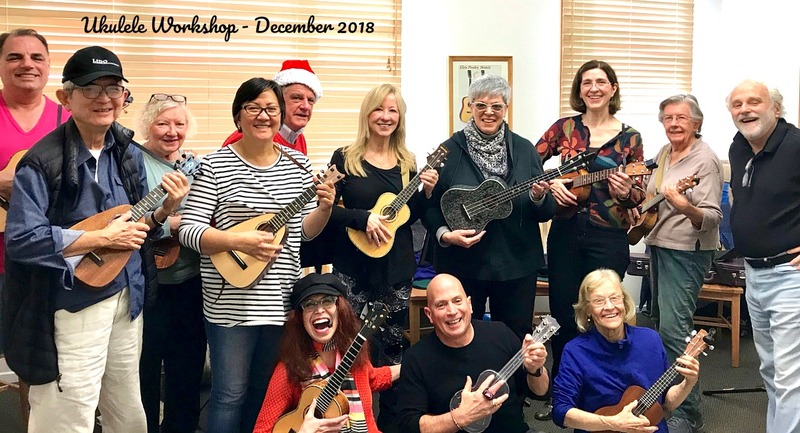 Our upcoming Ukulele Workshop starts on February 16th. 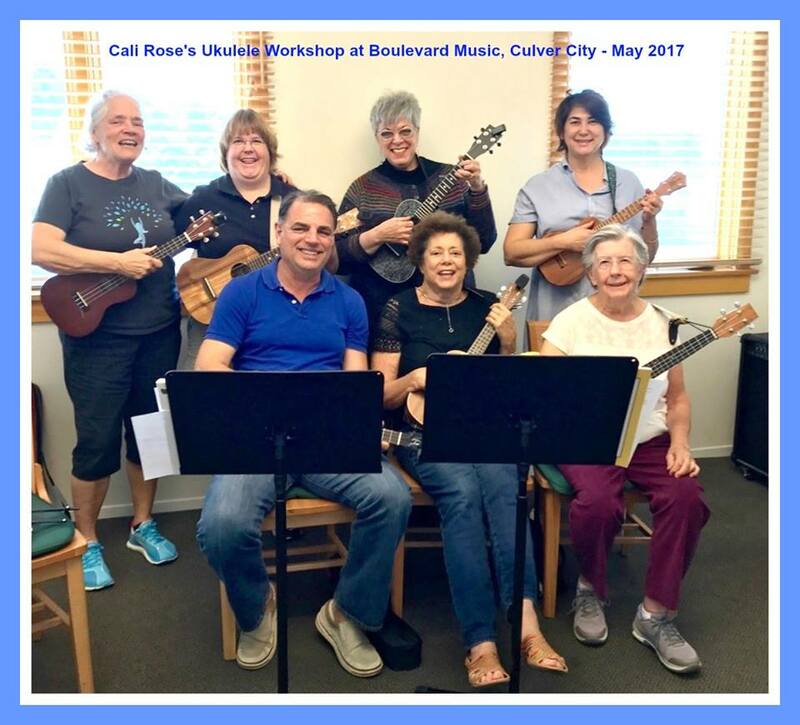 Call Boulevard Music and join us!